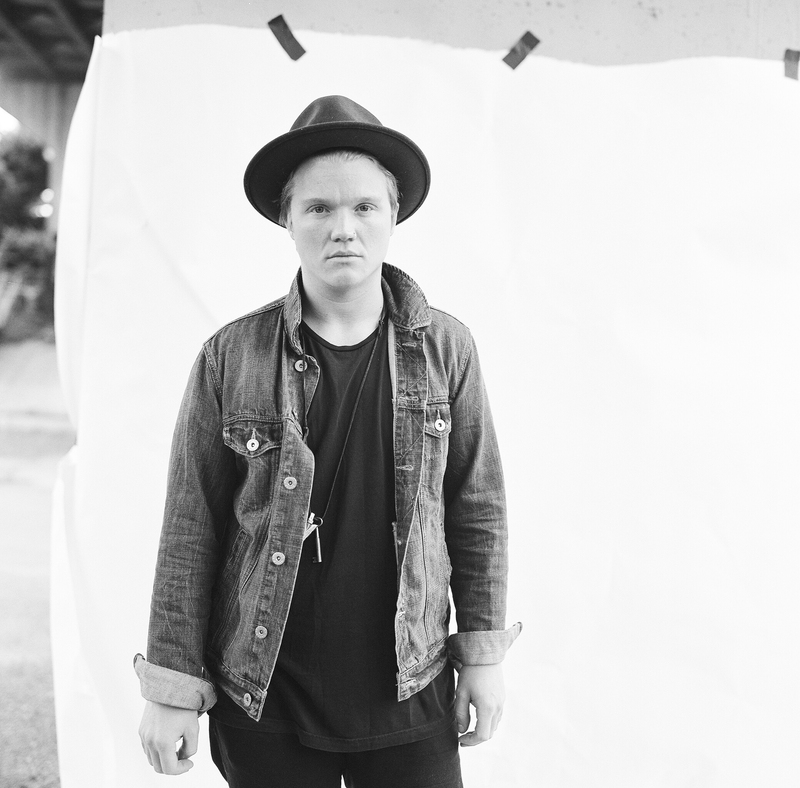 I had the privilege of interviewing Aaron Gillespie before his latest record Grace Through Wandering comes out on February 3, 2015. In this interview we talk about the new record, life as a musician, and advice for beginning musicians. When I received the email about interviewing Aaron there was a sense of humility and speechlessness that came over me. I get to interview a music legend that’s greatly impacted my life and so many others. Aaron is a humble guy who loves music and Jesus. I was impressed by how God is the center of his life. He wants his fans to know God in their own profound way. This message translates throughout Grace Through Wandering. Anchor Music: Where did the title of Grace Through Wandering come from? Aaron: Grace Through Wandering comes from the idea that I think we all, at some points in our lives, search. We search and we look. We try to find who we are and what we should be. It is sort of about how you circle back around and all that remains are God’s grace for you and the process. Anchor Music: What inspired the songs on this record? Aaron: Everything for me. Traveling and seeing different people through things and how they behave in different ways. The presence of God in different things and types of music inspire me. I am inspired by just life in general. It’s not just about one or two things that particularly inspire me. It’s life in general and seeing that through the lens of worship. Anchor Music: Did your time on tour with Paramore impact the record? Aaron: I made that record on the road with them. Anchor Music: How long have you been drumming for Paramore? Aaron: It’s almost been two years now. But that record took the better part of 6-8 months to make. We worked on it every 2 or 3 days on the road. The producer for this record plays for Paramore, as well. So we made it together out on the road. We made a portable rig. It was a crazy time but we made it happen. That record was recorded in 15 countries over the better part of a year. Anchor Music: Wow, man. Not many people can say they recorded an album in 15 countries. Aaron: It worked out really good and we got it all down to 2 road cases so we could check it on a plane. We had such a great time. Anchor Music: What message do you want listeners to get from the album? Aaron: I think the message is whatever God uses in the music to personally speak to them. For me to come out and say that this is definitely what people should get out of the album is sort of an unfair thing. I think whatever they feel and what happens as they listen is probably the best thing. Wherever they are at, I hope God speaks to them. I want it to be an individualistic thing. My favorite music in the whole world is the stuff that feels like it belongs to me. When the artist does his job it feels like it was for you. If you hear a sermon or a piece of music and this is for me. I think that’s the best way for me. Anchor Music: What are your plans for the rest of 2015? Aaron: Lots of various touring in many different areas. This record comes out February 3rd and I’m finishing up producing a record. I’ll be done around the middle of February. It’s a very busy, busy year. A lot of it is in various states of flux. Booking agencies like to announce things at certain times. Lot’s of one offs for the rest of the month. Stuff like that. Anchor Music: What exactly is a one off? Aaron: One off means you get on an airplane do one show and fly back home. I have a show in Rhode Island. Next weekend I have a show in LA. Between shows I fly home. Anchor Music: Do you have a preference of either one offs or touring for longer sustained lengths of time? Aaron: I have kids man. Being gone for a long time is hard. I’m talking to you now. I’m at my house drinking coffee. That’s always my favorite. Touring is a strange, strange thing. Anchor Music: What do you mean by that? Aaron: It is hard thing when you have a family. You have to sort of trudge that. Yeah for me, I do a ton of different stuff. For me it’s not just about my worship stuff or about this or that. I am playing drums for an artist and traveling and producing records. For me, if I toured all the time for all of it I would never come home. I am in my 30’s and have a wife and child. I’m getting old. I would prefer to tour less, but it’s the nature of the beast. Anchor Music: Do you have any advice for up and coming musicians? Aaron: There is a great quote from John Coltrane. He says, “You can play a shoe string if you’re sincere.” Honesty is something we don’t have a lot of in music these days. Honesty is something that falls through the cracks and if you can be honest about your craft and do the best you can. People find something in that as opposed to doing something for personal gain or for whatever. People can smell a rat a mile away and it doesn’t matter their age or preference. Anchor Music: Who are your biggest musical influences? Anchor Music: If you could meet one musician, who would it be? Aaron: Dave Grohl I have been blessed in my life to meet a bunch of musicians. That one would be special for sure. He is a cool guy too. The singer for Underoath met him in LAX. I sat right behind him flying home from New Zealand in 2010. I chickened out. He was with Them Crooked Vultures. I was so scared. I wish I would have talked to him..
Anchor Music: Anything else you want to talk about? Aaron: Go check it [the album] out on February 3rd. Anchor Music: Your one of those musicians that many people look up to. Aaron: Thank you man. I am just a guy. I appreciate it. Go pick up a copy of Grace Through Wandering on iTunes, Amazon, Best Buy, and BEC Recordings Store on February 3, 2015.